Please use parking lot “P” on Darien Street. 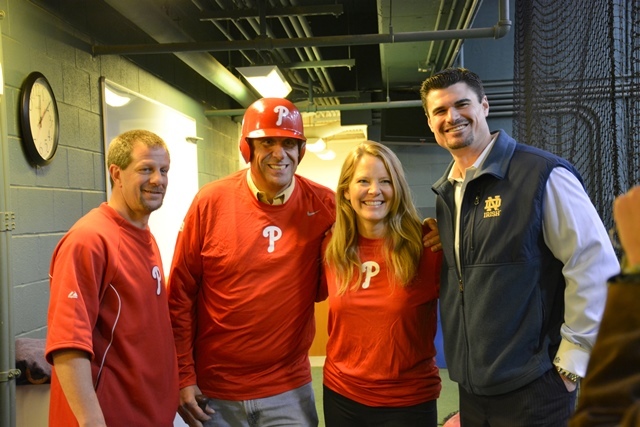 Enter Citizens Bank Park through the Administrative Offices entrance on Pattison Avenue. We will have signs at Citizens Bank Park to assist you. 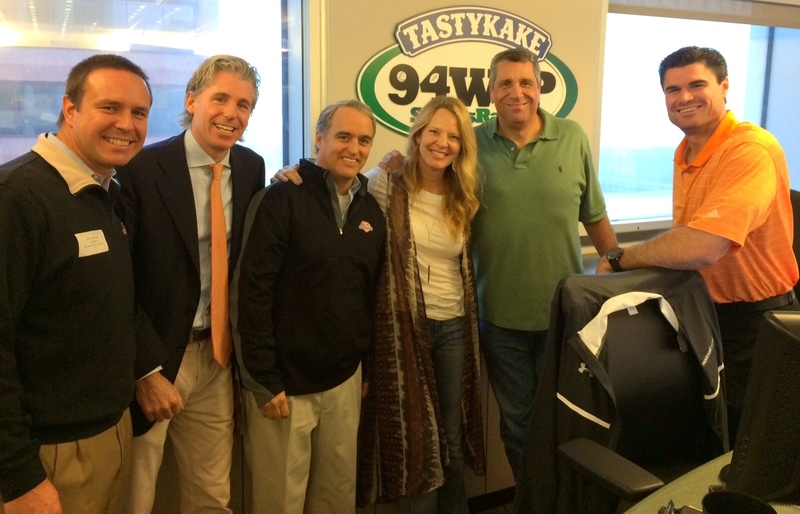 GET IN THE GAME AND spend time with Phillies legends! 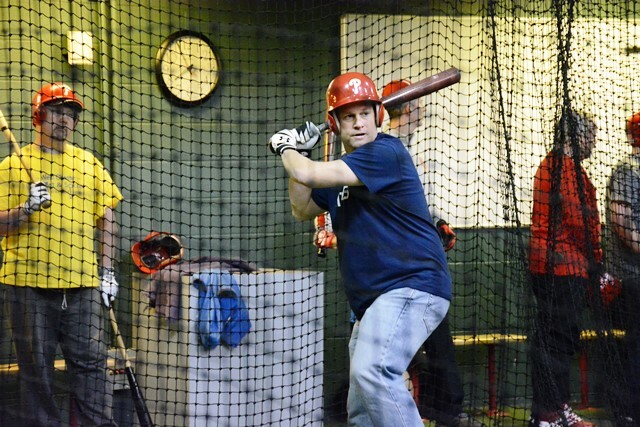 Fourth and Final Batting Practice! 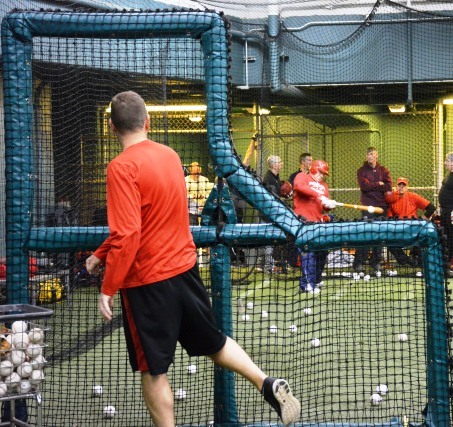 We had a strong finish to our fourth and final batting practice event down at the Philadelphia Phillies stadium, Citizens Bank Park. 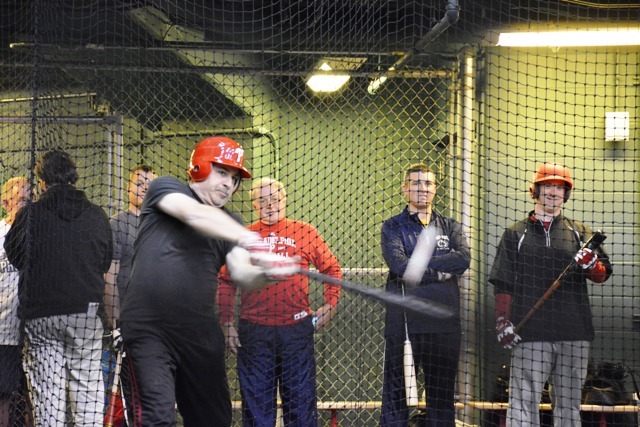 The energy and excitement in the building was electrifying as Veterans and Rookies alike exchanged hitting tips, told stories from their Phantasy Camp experience, and enjoyed hanging out down below in the official Philadelphia Phillies batting cages. 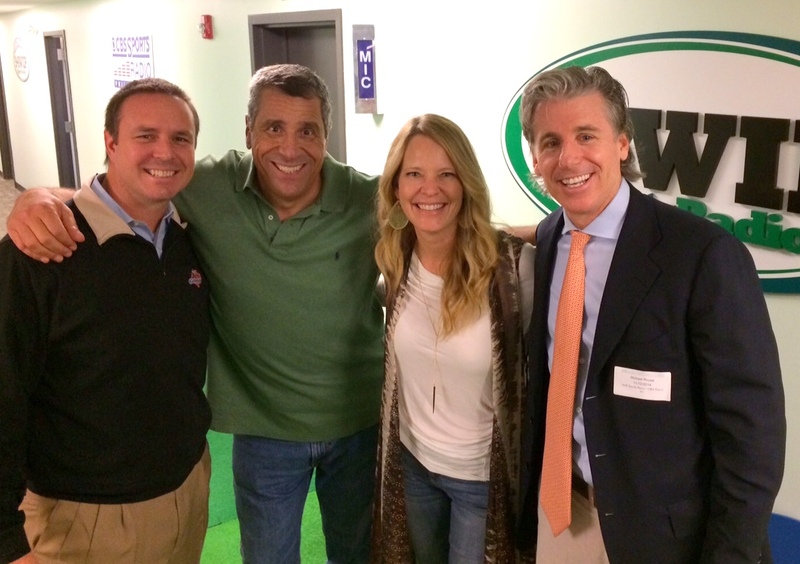 A big thanks to everyone who came out to this great event! Leslie Gudel is Coming to Camp! 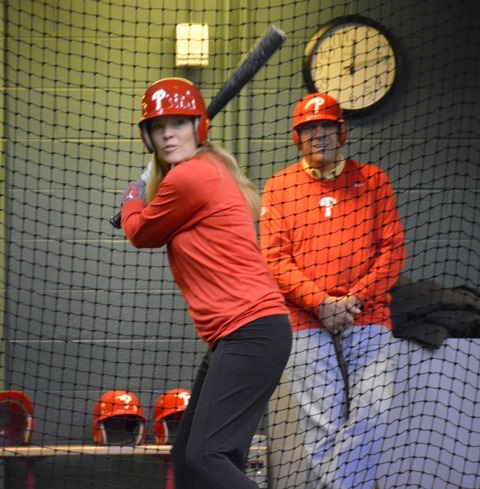 Congratulations to our hitting challenge winner- Leslie Gudel! 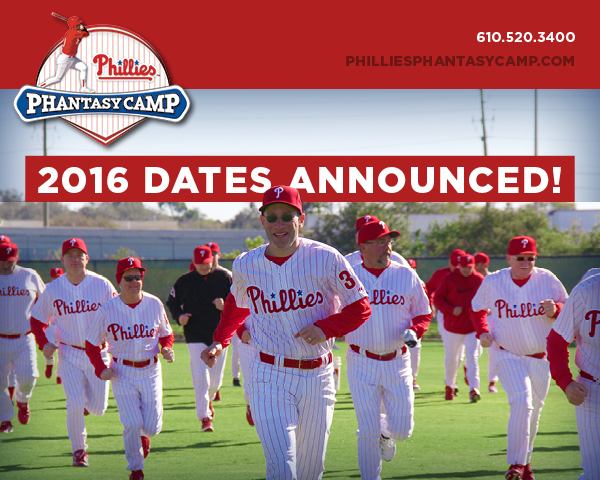 We are SO excited that you will be joining us for Phillies Phantasy Camp this January from the 21st-25th! 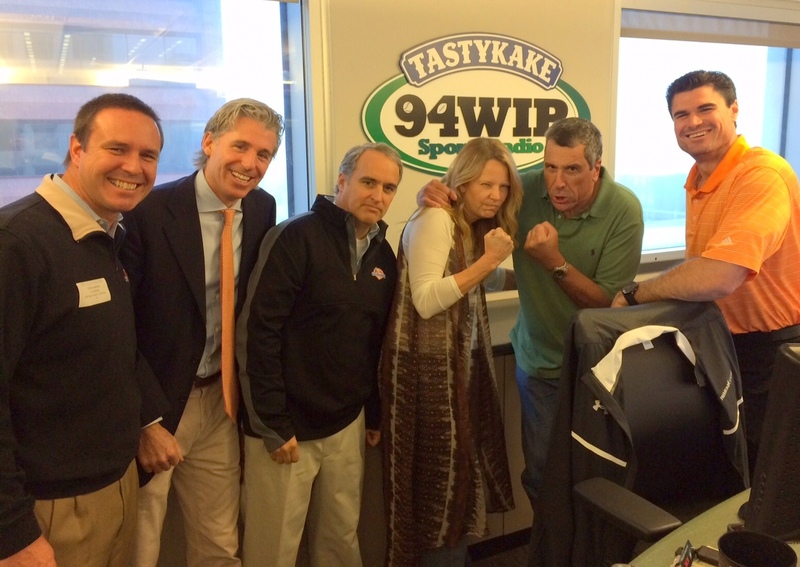 Check out Leslie dominate against Angelo Cataldi at Citizens Bank Park! 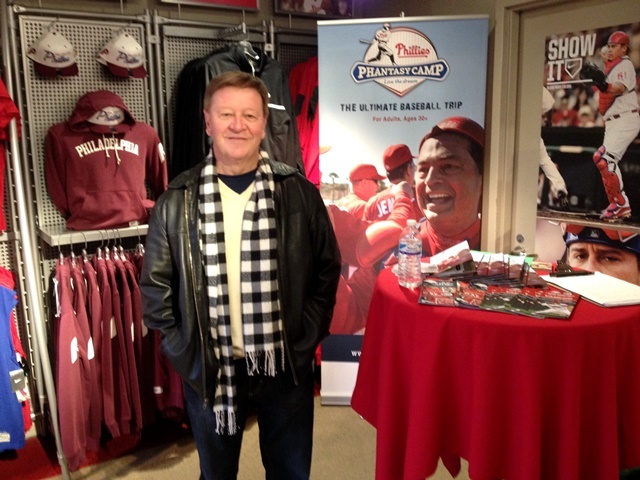 Phillies Phantasy Camp had a wonderful time down at Citizens Bank Park last Saturday for the annual Holiday Tree Lighting Ceremony! Thanks to all who stopped by our table and helped make this event a great day. 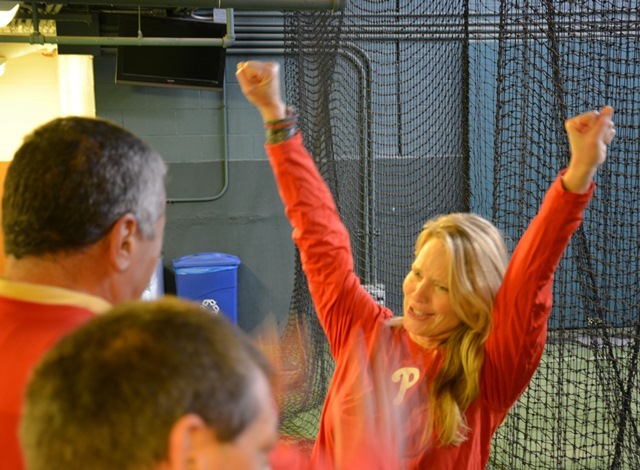 Join Us At The Annual Phillies Holiday Tree Lighting! 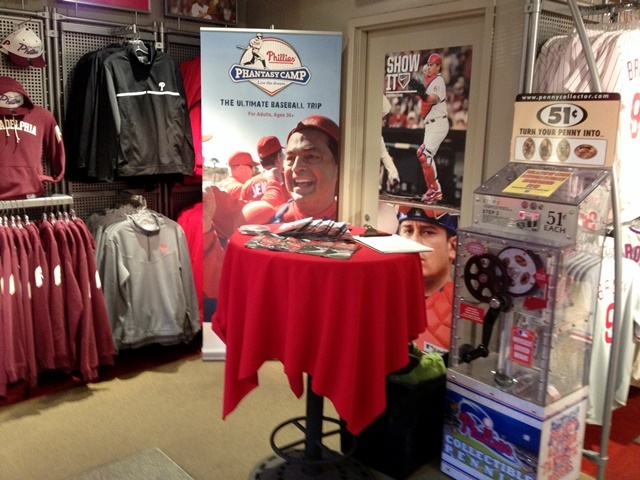 This coming Saturday, December 6, from 10:00 AM- 6:00 PM, Phillies Phantasy Camp will be at the Majestic Clubhouse Store at Citizens Bank Park! 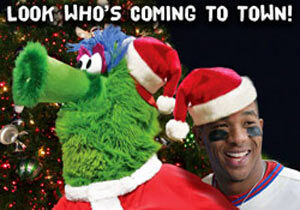 During the annual Phillies Holiday Sale and Tree Lighting, join us as we spend time with Phillies outfielder, Ben Revere, and Phanta Claus (The Philly Phanatic)! 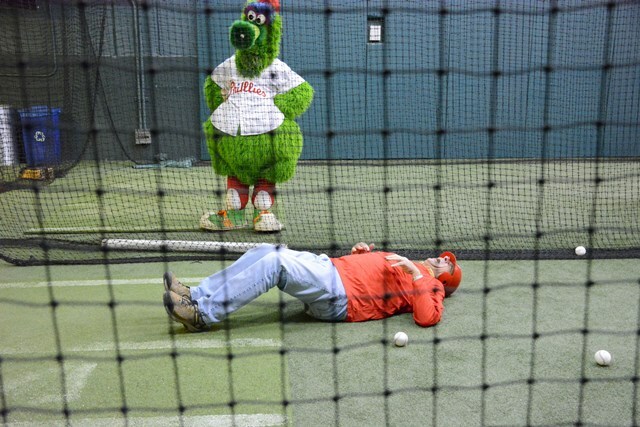 Lots of festivities will take place including a spectacular Christmas tree and ballpark lighting, photo opportunities with Phillies favorites, holiday photos on the field, a meet and greet with Mickey Morandini, book signings, a Phillies Charities Memorabilia Sale, holiday shopping deals and more. We can’t wait to see you there, read more here! 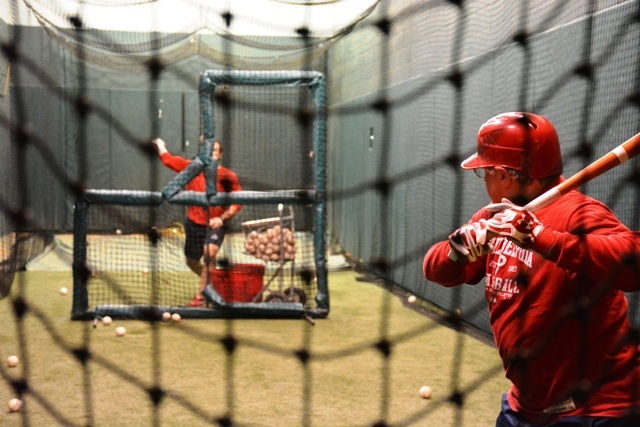 Phillies Phantasy Camp Challenge will take place this week!! 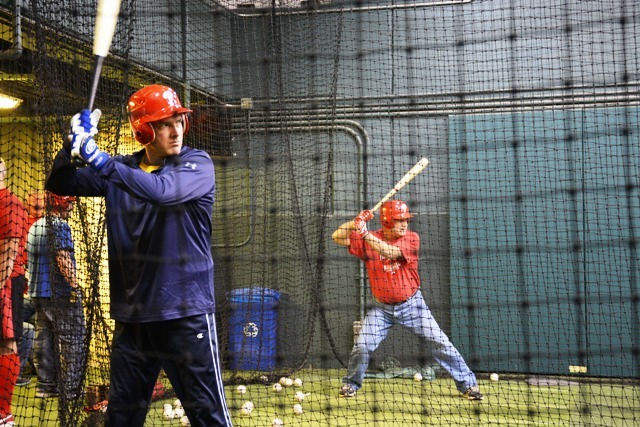 Second Batting Practice at Citizens Bank Park! 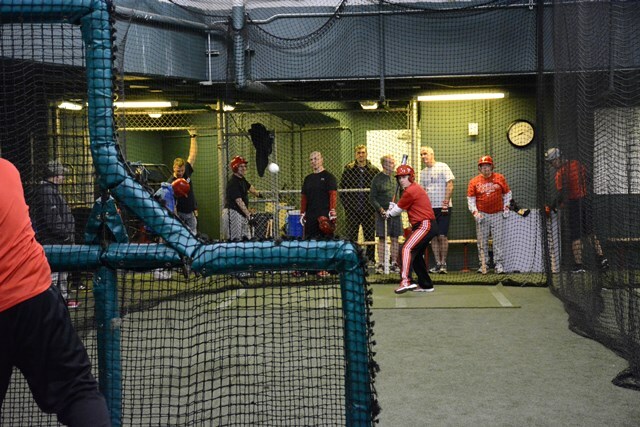 Last week, Phillies Phantasy campers had a great time at the second of four batting practices this winter. 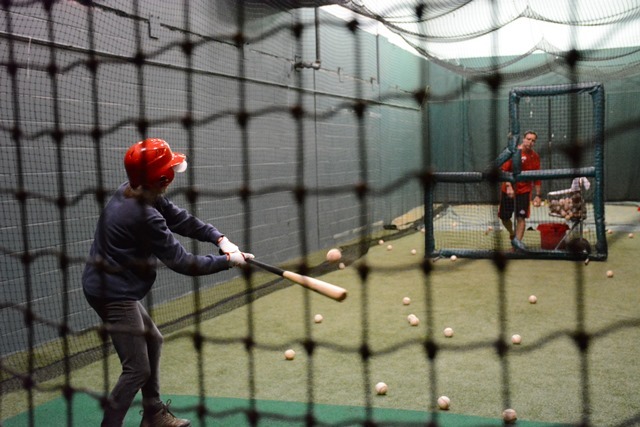 A great time was had by all as campers spent time practicing their swing and catching up with friends. 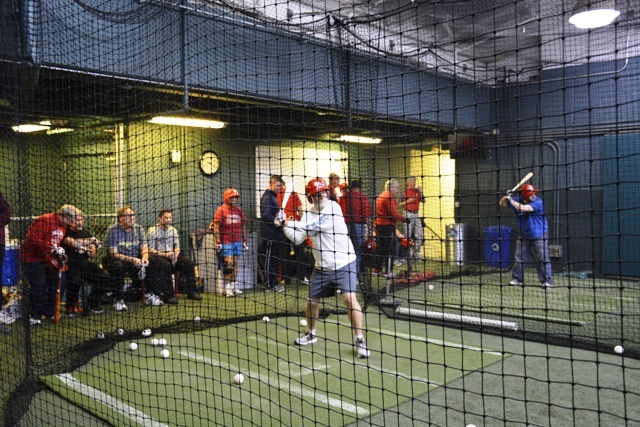 All were excited for the chance to practice in the batting cages at Citizens Bank Park! 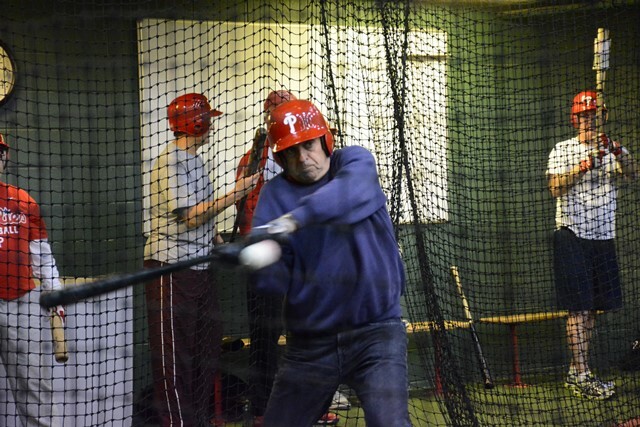 Read about the Phillies Phantasy Camp Challenge between 94.1 WIP Host, Angelo Cataldi and Leslie Gudel of Comcast SportsNet! Don’t forget to like us on Facebook to find out when this contest will take place. 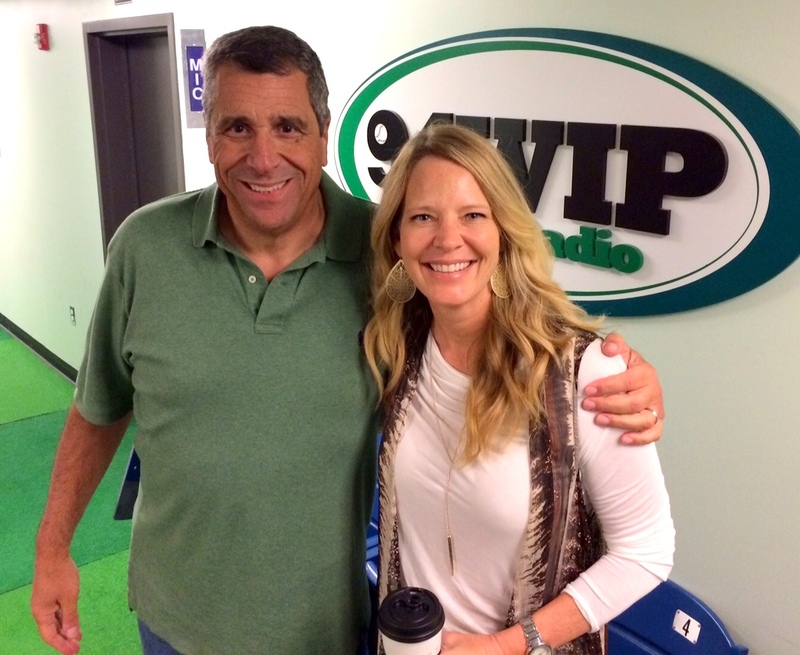 This morning on Sports Radio WIP, Leslie Gudel visited the studio and was a guest on the Angelo Cataldi in the Morning Show. 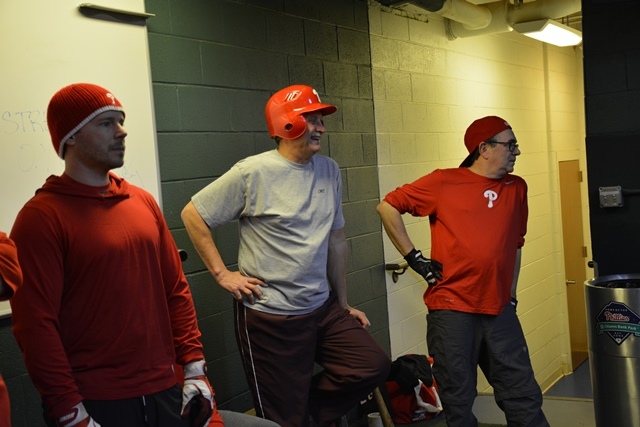 During their discussion, John Brazer, the Phillies Director of Fun and Games, CHALLENGED Cataldi and Gudel to a hitting contest! What will the winner receive? 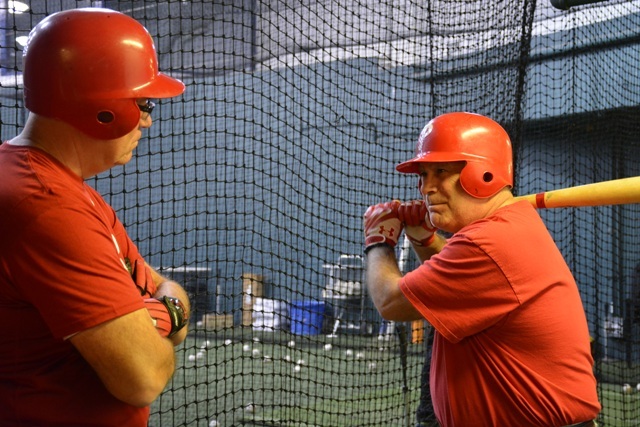 A trip down to Florida for Phillies Phantasy Camp this Janmuary 21-25, 2015!!! Stay connected on our Facebook page to find out when this challenge will go down. 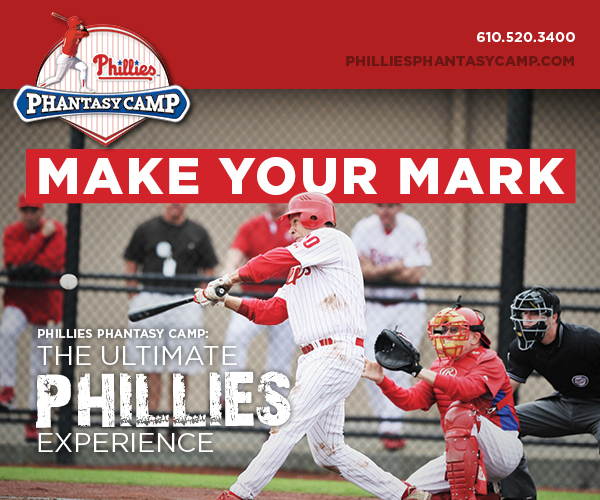 We can’t wait to see who will join us at Phillies Phantasy Camp!